Mauritius is all about adventure and tropical allures. Jump off cliff-tops into shimmering pools, explore lava caves and swim in refreshing lakes or take it easy and bask on a gorgeous beach. When in Mauritius, one should not miss trying out an exhilarating activity like deep sea fishing. You will witness huge species of fishes such as black and blue marlin, different varieties of barracuda and yellow tuna. Most of the 5 star hotels in Mauritius the likes of The Residence Mauritius by Cenizaro provide facilities to have a memorable deep sea fishing experience. This is the jumping off point for most of the trails taken along the Plaine Champagne route. It is quite easy to access the main lookout points of this park which is home to a variety of wildlife. Plenty of trails are found close by for exploring the stunning surroundings with the most popular being Parakeet Trail, Gollum Trail, and Bell Ombre Trail, amongst many more. Ilot Fourneau is an offshore island to which you can walk at low tide. This is quite an experience as you trek through the water with the stunning Le Morne Barbant in the background. Trek along the rocky shore of the island and you can navigate its circumference. The experience is almost dreamlike as you wade across the lagoon. Head over to Roche Noire and you will discover a network of lava tubes that represent freshwater springs as well as caves carved into the rock face. Explore these networks and you will be amazed at the interiors with flowing water and narrow passageways which give way to dark sheltered caverns. Are you the kind of person who craves that jolt of adrenaline on your holiday? From discovering exotic creatures of the wild to riding down slopes of sand, the Middle East has plenty of gripping adventures to keep you satisfied! A thrilling wildlife drive at areas such as Sir Bani Yas Island’s, Arabian Wildlife Park gives you the chance to witness the wild beauty of animals like Arabian oryxes, ostriches and cheetahs. The island which is also home to Anantara Sir Bani Yas Island Al Yamm Villa Resort is an ideal site for exciting horse riding as well. If you are looking for a way to get in some unique sightseeing in Abu Dhabi along with an adrenaline rush sign up for a desert safari. You could either travel the traditional way on a camel or for a more fast-paced experience, in a 4WD vehicle where you can engage in what is known as “dune bashing”. 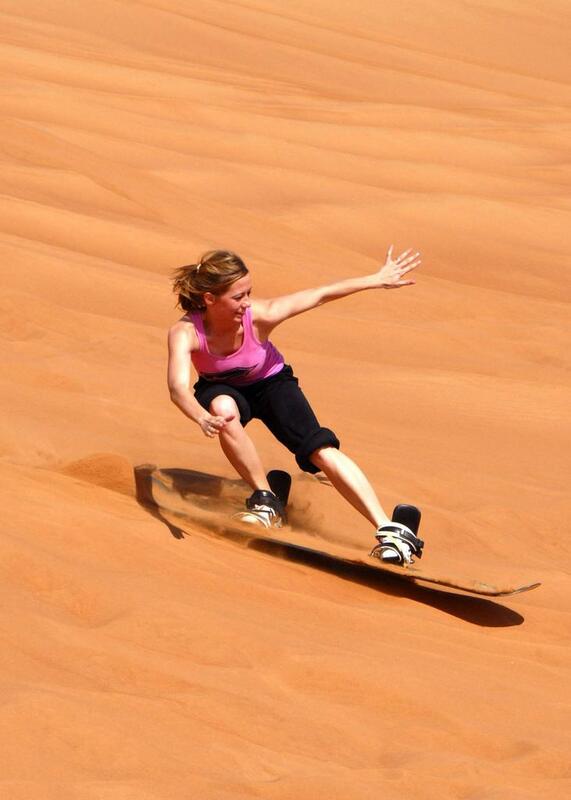 The Middle East has vast tracks of desert home to towering sand dunes; this makes the perfect setting for the thrill-a-second activity known as sandboarding. It’s an extreme sport which is pretty much the same as snowboarding, just with mountains of sand instead of mountains of snow! An adventure doesn’t always have to be action-packed; hiking amidst the imposing wadis and mountains of the Middle East is one such example be it at Wadi Tayyibah in Fujairah, Jebel Hafeet in Al Ain or the “Secret Staircase” at the Musandam Mountains. If you are on holiday in Bangkok, then you are in luck! Why so you may ask? Well, Sathorn, Bangkok boasts some of the most amazing attractions and here are a few you might want to check out. Markets in Sathorn, Bangkok are always busy with hordes of both locals and tourists walking about looking out for the perfect buy. Not to mention the multitude of sellers waiting in their stands filled with items on sale. Amid an urban environment is half a mass if greenery that invites city residents to become one with nature. The park has ultimately turned out to be a popular hangout spot among those living in Bangkok and home to many plant and wildlife. Check out a Sathorn hotel in Bangkok, the likes of Anantara Sathorn Bangkok Hotel for a great time. Find all the best things you are searching for in one place that is suitable for the for high-end shopping. Gaysorn Mall in Bangkok is one of the most sought after and trusted malls for retailing branded items of all sorts. Bangkok is famed all around the world for its bright nightlife. The streets are alive with the sound of vehicles as the pavements are left pulsating with the chatter of animated people going about their business. With so much to see and so much to do, honeymooning in the Maldives can be quite the fun-filled vacation. However, let’s look at some important tips to note when you visit. The Maldives is home to some of the most gorgeous oceans and breath-taking marine life found across the entire world. This makes it one of the most sought-after destinations for both diving and snorkelling. This activity is a great way to spend some time together on your honeymoon, whether it’s skimming the surface or even diving deep down under. When you get to the Maldives, its capital Malé would most likely be your first spot to check out. And do check it out because here you’ll be able to check out its busy city life up close. You can try some amazing authentic Maldivian delicacies and shop for some gifts to take back home. Whether it’s a cleansing facial or a relaxing massage, taking a spa day with your loved one is an excellent way to unwind and spend some quality time. You can even opt for a couple’s massage. Maldives resorts are plentiful, with a whole variety to pick from, such as the Anantara Veli Maldives Resort for instance. If you crave something active, water sports like water-skiing or jet skiing can prove to be an ideal option on your honeymoon. Ayurveda allows you to delve into an absolute sense of tranquillity, it could make your mind body and soul be refreshed and glow with positive energy. Ayurvedic Massage therapy will heal your body from within! Read on to know more about this amazing healing practice. Ayurveda is an ancient healing practice that originated from the Hindu Vedic text – the “Atharva Veda”. It is a medical practice that uses diet, ingestion of medicinal herbs, therapeutic massages and yoga to prevent or heal bodily ailments. Ayurvedic Massages are a part of Ayurvedic healing and they also promote healthy living. How does Ayurvedic Massage work? Ayurvedic massage treatments relieve your tensed muscles and the increase the blood flow to your organs and help to better absorb oxygen. It is even said that intricate massage techniques have the ability to remove kidney stones and cure heart conditions. The benefits of this therapeutic experience are endless! Today Ayurveda being a rapidly growing medical practice, You could easily find a number of places which offer Ayurvedic Massages scattered across popular cities and tourist destinations around the globe. If you are planning for an Ayurvedic wellness retreat in Sri Lanka resort properties the likes of Anantara Peace Haven Tangalle Resort will offer you best-in-class ayurvedic treatments. Well, one could expect to experience a sense of perfect sense of relaxation. More than that, you could individualize your session with the help of your therapists. Your therapist may provide you with herbal treatments, massages with herbal extracts and oils apart from massage would also give you suggestions for your wellbeing such as dietary adjustments and lifestyle changes, structured sleep schedules, tips and on meditation and yoga. White sands, turquoise blue waters and stunning backdrops this isn’t all you get to experience at Digu Island. There is more to it! Read on to know. Dhigu is an island located in the south Male atoll and it is approximately 21 kilometres away from the Male International Airport. The island boasts a stunning coastline with the bluest of waters. The island is also surrounded by a vibrant reef that is filled with marine life. Reaching the island is pretty easy; since the island is located close to the capital, you can reach here by a speed boat which will take you only 25-35 minutes. There is also a ferry service that operates 24X7. Being a tropical island there is a lot on offer here. Visitors could engage in a plethora of water sports such as scuba diving, snorkelling, jet skiing, and kayaking. There are also a number of kid friendly activities too. If you feel too lazy to move around during your visit you could sunbathe on the beach. Maldives’ islands are home to a plethora of resort properties and Digu island is of no exception! It is home to Anantara Dhigu Maldives Resort which is one of the best resorts in the Maldives for Families. You could also enjoy local and intercontinental food at the resort’s restaurant. Top 10 Nightlife Experiences in Thailand – The night is always young here! Nightlife is one of the main features of the city that attract tourists with a range of unusual ways to enjoy your nights. Here are some thrilling ways to experience nightlife to its fullest in Thailand. Rooftop bars are quite common in the present day, especially in Bangkok. The vistas of the city of Bangkok illuminated by a sea of lights is simply amazing! A cocktail is sure to taste better in the cool night air of a rooftop bar in Bangkok. If you’re up for some glitz and glam the place to be is the ladyboys show! Thailand is quite famous for this particular performance due to the open mindset of the people living here. Witness the fancy dancing and special acts that might deceive you into thinking you’re actually watching beautiful ladies. The best way to experience the grandeur of the city is to sail across the Chao Phraya River while enjoying an authentic meal on the deck. One can soak in views of a lit up Grand Palace on the skyline that is sure to take your breath away. Perchance, if you happen to be bored staying inside your hotel room at Anantara Chiang Mai Resort which is one of the hotels in Chiang Mai, then head out to one of the many night markets in the area. Swimming with dolphins is certainly a trend that’s being picked up quickly by tourists. Dolphins are brilliant mammals with high intelligence levels and above all, they are friendly and can prove to be very endearing. Here is why you should be a part of this special experience. Since childhood, these creatures seem as though they were part of a fairy tale as they only seemed to appear in books. Now since you can, why not grab the opportunity to get up close with them and learn about how they live first hand? Furthermore, a guide will be present. Teaching you all there is to know! Dolphins are actually social creatures that enjoy the presence of humans around them! These mischievous dolphins in Maldives are looking forward to spending time with you! Hotels like Adaaran Prestige Water Villas might offer support as to how to get about your dolphin adventure. 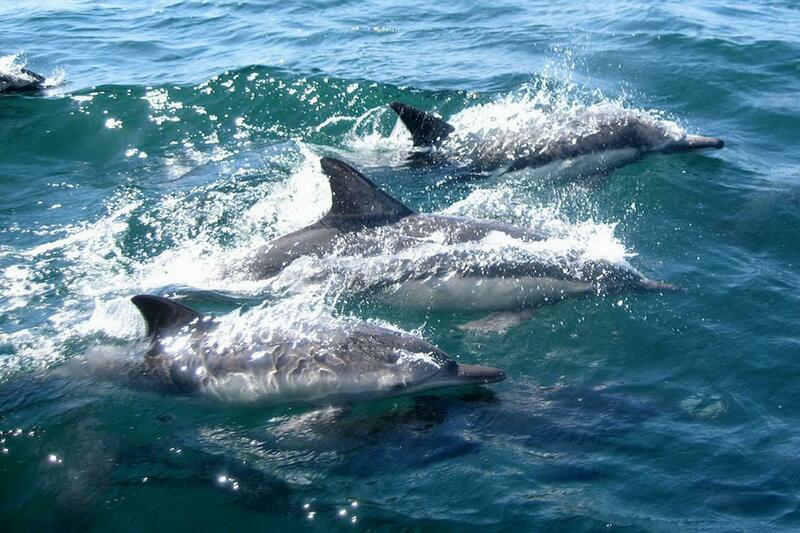 These creatures of the ocean are indeed social animals who like to name each other, make friends and play! Come and witness this amazing scene unfold before you while swimming with the dolphins! When selecting your spot for some bonding time with the residents of the ocean, make sure that this is their natural habitat. This will make the experience more enjoyable for you as well as the dolphins. My Son Sanctuary – An enchanted site with spectacular views! A stunning site filled with towering structures that is all that remains of temples and buildings which were part of the ancient Champa Kingdom; Visit here discover a civilization that had thrived centuries ago. The era of the Champa Kingdom which dates back to the 1st to 18th century CE was considered the golden age of civilization in Vietnam. This is also the time when the tower temples at the My Son sanctuary today were constructed. It is also said that the temples at the site were constructed throughout a period of 10 centuries from 4th 13th century CE. The tower temples boast an elaborate Hindu architecture that resembles the purity and greatness of Mount Meru – A fabled sacred mountains that are believed to be the centre of the Universe. There are a number of meticulously crafted statues of Hindu deities and carved decorations on temple structures and pillars and is certainly awe-inspiring to look at. The site was recognised as a national site in the year of 1979 by the ministry of cultural affairs and was given the title of “special national site” in 2009 by the government. Also being recognised as a World Heritage Site by UNESCO, the whole region now is under a conservation plan. The My Son Sanctuary site is located close to a number of accommodation options and hotels in Hoi An the likes of Anantara Hoi An Resort. So, getting there won’t be much of a hassle. You could also reach here by taxi or by renting out a bike from the Hoi An city. The beauty of Dubai knows no bounds! From a thriving art and design eco-system, mega malls to constantly changing food scene, there is always something special and exciting to all leisure travellers who visit here. Staying true to its name, the Miracle Garden itself is a miracle! You’ll be certainly surprised seeing two opposite things of nature together: desert and flowers. If you’re staying at one of the many 5 star hotels in Abu Dhabi the likes of Anantara The Palm Dubai Resort, this huge garden in the heart of the desert is 27 minutes away. Want to experience a different type of surf? Head out of the city to enjoy the thrills and spills of a sandboarding experience. A wide variety of sand dunes with varying slopes and heights have made Dubai an ideal destination for many desert-based adventure sports. If you’re looking for more thrill combine your activity with dune bashing. 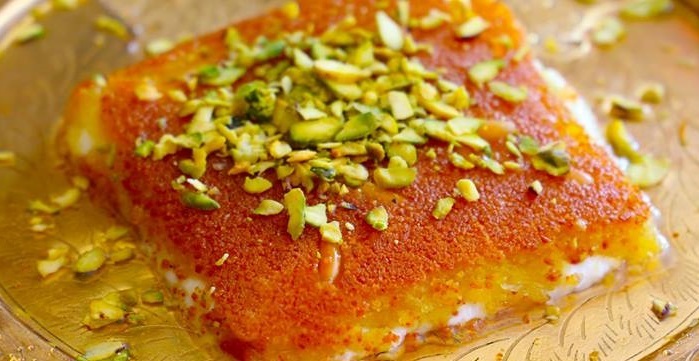 The dynamic food scene is undoubtedly one of the main reasons to visit Dubai. Indulge in a memorable culinary journey where you’ll not merely be satiated but learn more on how a wide range of cuisines coexist in one place. Set in Dubai Marina, XLine Dubai Marina is considered as the fastest and steepest ziplines in the world. All adventurous souls can try out to zip across the line to catch a glimpse of glitzy Dubai Marina, bobbing five-star yachts and the beautiful surroundings.